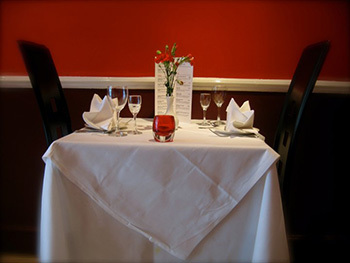 We are an independent, family run restaurant specialising in exquisite Indian cuisine that offers free home delivery. 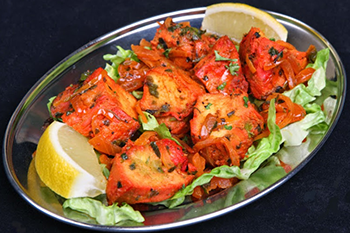 We offer a broad range of dishes from Chicken Madras to King Prawn Karahi as well as an assortment of lamb, seafood and vegetarian dishes. We offer everything you require for the perfect dinner. Our team is passionate about food and our customers. Whether in our restaurant dining room or at your door, we give 100% each day to provide the best service available in London. We are always looking for ways to improve. If you have any comments that would help us to meet your needs better then please contact us to share your thoughts. We look forward to seeing you soon. The food here is brilliant - very tasty and also pretty cheap. The staff are the right amount of attentive and you can bring your own booze! 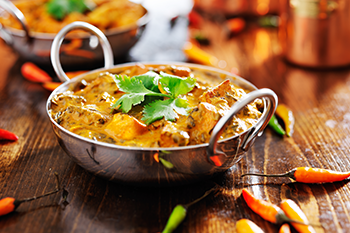 I've had a few different chicken curries and they were all great - not overly oily which a good thing is always! My boyfriend is vegetarian and finds a lot more on this menu than at other Indian restaurants we've been to. I could actually get addicted to this place! Please go - it's not the busiest restaurant in the area but it's definitely one of the tastiest. I've been going here for many years now with friends, I'm probably one of the noisy ones on a Friday evening. It's always very good food. I often order a garlic chilli prawn off menu and it's lovely. Buy your beers next door, especially nice if you're looking for a cool place to eat on a hot summer evening. Wow, it's so refreshing to find a lovely restaurant that still offers BYO and has such attentive and lovely wait staff! Oh and the food...just divine! Maybe it was the JD consumed pre dinner. But we really enjoyed our onion bhaji's that were served more like little delicious patties with all the usual trimming you would expect (lime pickle, mango chutney and yoghurt and mint sauce). For my main I had the fish began which was delicious and tender in a fresh coconut spicy sauce. Mushroom rice was yum, and my friend had the tandoori mixed grill. I cheekily asked to add a bit of tandoori salmon in there and he readily agreed which was super nice and appreciated (I don't eat meat apart from fish! But I love the tandoori flavour). My friend found her meat tender and flavoursome and we all round enjoyed our entire experience at the Curry Leaf! Already planning several birthday dinners here for the future! Well done guys. See you soon! Curry leaf was an enjoyable visit from the start. A brilliant atmosphere, clean, fresh decoration and Indian music playing in background. Staff were polite and service was rapid. The toilet was spotlessly clean. They don't alcohol but next door is a wine shop offering plenty of tasty beverages. I have seen the reviews online for this restaurant..... And I thought surely it can't be that good! However... It was! That's all I can say. But don't believe me, go and see for yourself!